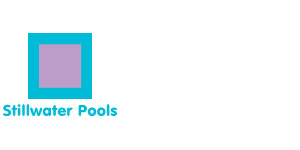 Stillwater Pools are family owned swimming pool builders in Sydney located in the Beautiful Hawkesbury district, which is in the Northwest of Sydney, servicing all areas in North West Sydney, NSW, and is operated by Adam Skopek. With 16 years’ experience in the pool industry from installing pools, sales and as a technical sales representative. Also having over 15 years in the building industry in Sydney. Our aim is to provide you with a high quality fibreglass pool at a realistic price in Sydney. Fibreglass swimming Pool, complete with equipment are delivered to your door. Installation is arranged with one of our fully Licensed Contractors, who have many years of pool installation experience in Sydney. Combined, you get a pleasant and hassle free swimming pool experience.